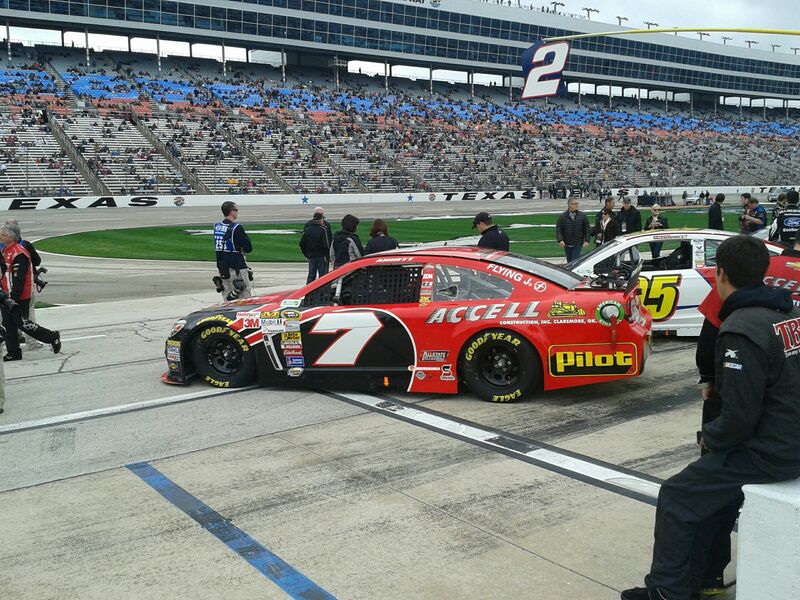 Tommy Baldwin Racing (TBR) started the weekend at Texas Motor Speedway with the goal of moving into the top-35 in NASCAR Sprint Cup Series (NSCS) Owner Points. Blaney drove the No. 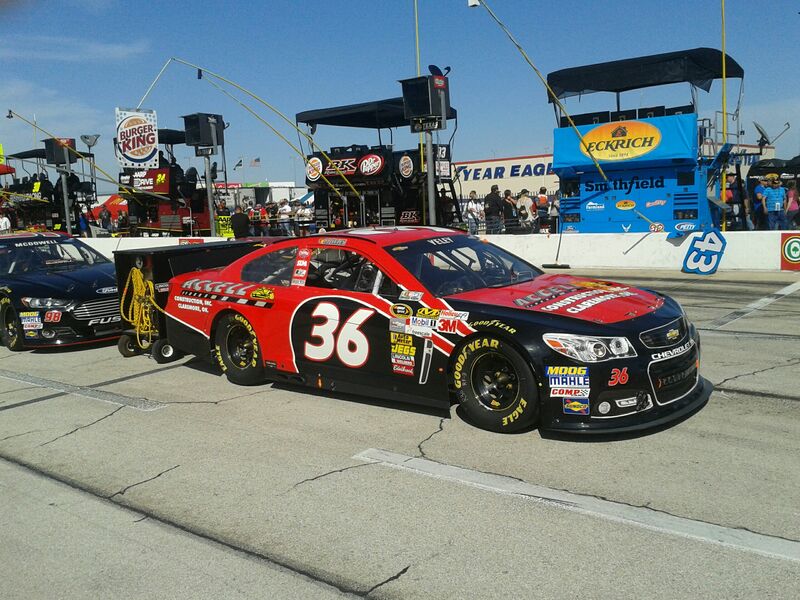 36 Accell Construction Chevrolet to a hard-fought 30th-place finish in the Samsung Mobile 500. The team is now 38th in NSCS Owner Points, a mere six points outside of the top-35. 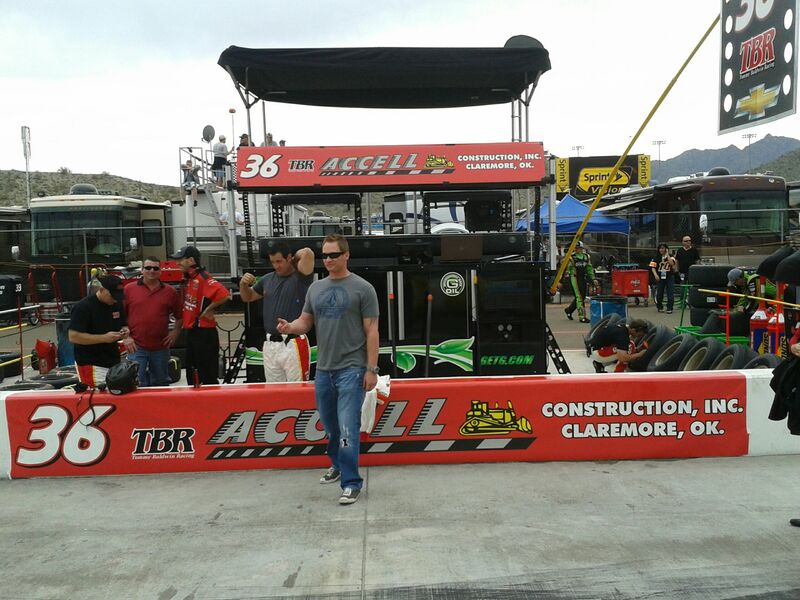 During the two practice sessions, the TBR team focused mainly on race trim. After two runs in final practice, the Accell Construction team was happy with the race-setup of the No. 36 and changed the Chevrolet to qualifying trim. Blaney made three qualifying runs and posted the 37th-fastest practice speed of 30.021 seconds. He was the 38th to qualify and posted the 38th fastest lap of 29.325 seconds. Blaney started from the 38th spot for the Samsung Mobile 500 at Texas Motor Speedway. When the green flag dropped, the No. 36 Accell Construction Chevrolet ran tight and was shaking in the corners. A quick caution on lap 11 allowed the TBR team to pit and make adjustments to fix the tight condition. On the way to the pit stall, Tony Stewart and Blaney got into each other as Stewart came out of his pit stall. The No. 36 Accell Construction Chevrolet spun on pit road. Since the team would not loose any more spots, Blaney turned around and made another lap on the racetrack before pitting. He drove down pit road, and the team changed four tires and made adjustments to the car. 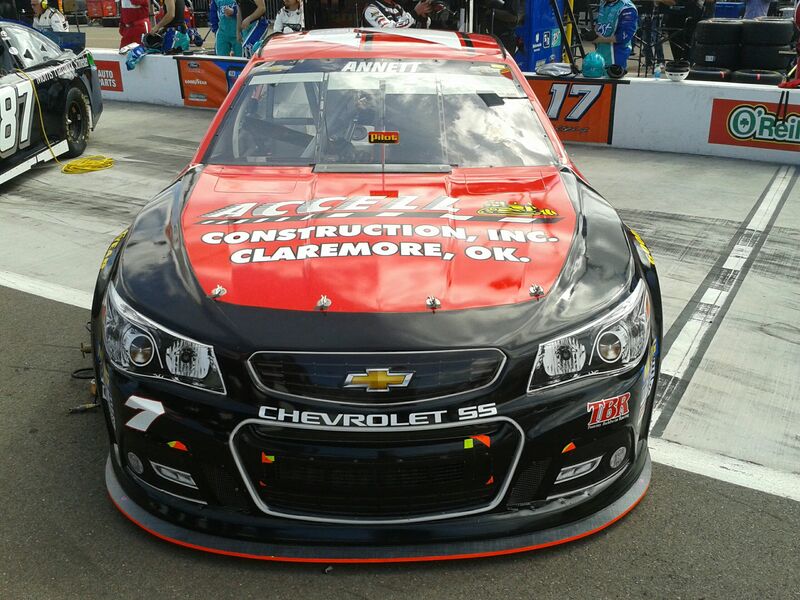 The Accell Construction Chevrolet restarted on lap 14 from the 39th position. Blaney worked his way up to the 36th spot despite problems with the splitter hitting the ground. The Hartford, Ohio native radioed that the car was really tight and it was like the front tires were driving on oil. Another timely yellow flag waved on lap 47. The TBR team decided to wait to pit in order to lead a lap and collect a bonus point. The No. 36 came onto pit road on lap 49, changed four tires and made a wedge and trackbar adjustment. Blaney restarted 36th on lap 51. Within 10 laps, he worked his way up to 32nd and radioed to the TBR crew that the car was much better at the beginning of the run but gave up a bit after a few laps. 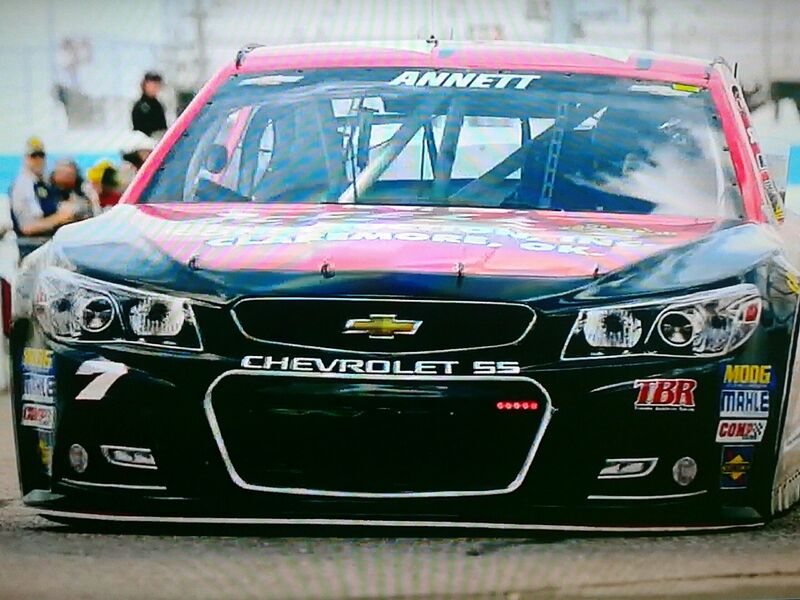 He began running different lines on the racetrack to find the best one for the Chevrolet’s handing and improved his lap times. Green-flag pit stops began on lap 92, and the No. 36 Accell Construction Chevrolet pulled down pit road on lap 96 for four tires, fuel and a wedge adjustment. By lap 100, Blaney went down a lap to the leader but was holding the Accell Construction Chevrolet in the 32nd position. A lap 115 caution allowed the TBR team to make a four-tire pit stop and adjustments to remedy the tight condition. The field went back to green-flag racing on lap 119 with the No. 36 in the 32nd position. By lap 130, Blaney radioed to the crew that the Chevrolet was getting loose and that the condition worsened throughout the run. Crew chief Tommy Baldwin made the call to go back a little on the last adjustments to tighten the car up a bit. The No. 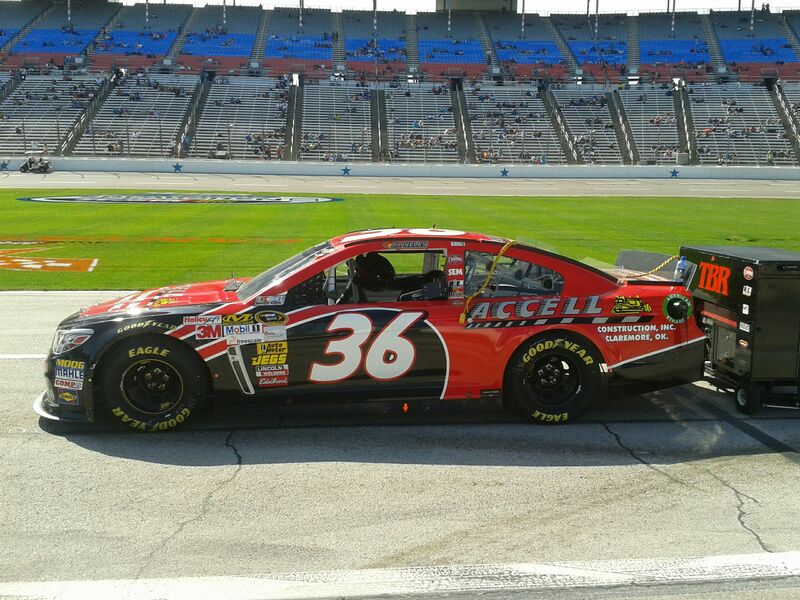 36 Accell Construction Chevrolet fell a second lap down by lap 150 and sat in the 34th spot. Blaney drove down pit road on lap 164 for another four-tire, green-flag pit stop. Still battling a loose racecar, Blaney fell a third lap down while in 34th. 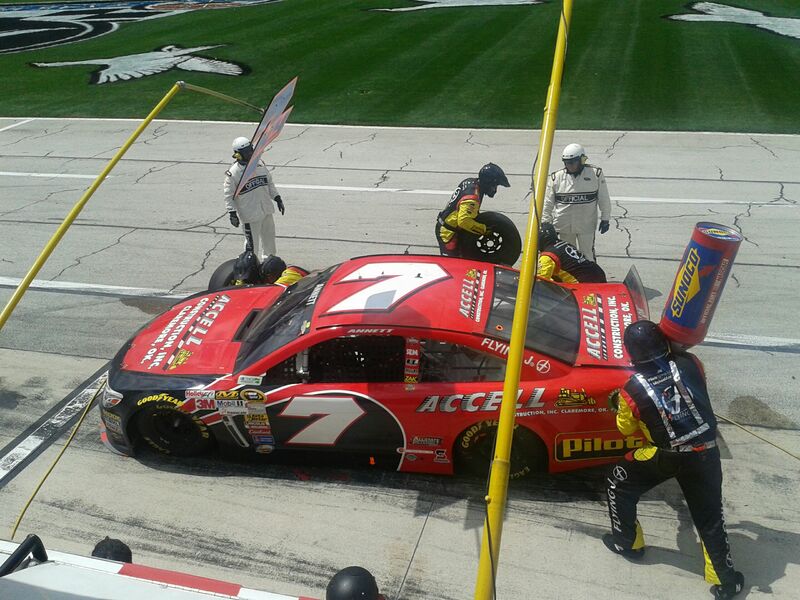 The field began another round of green-flag pit stops, and the TBR team pit for four tires and fuel on lap 204. 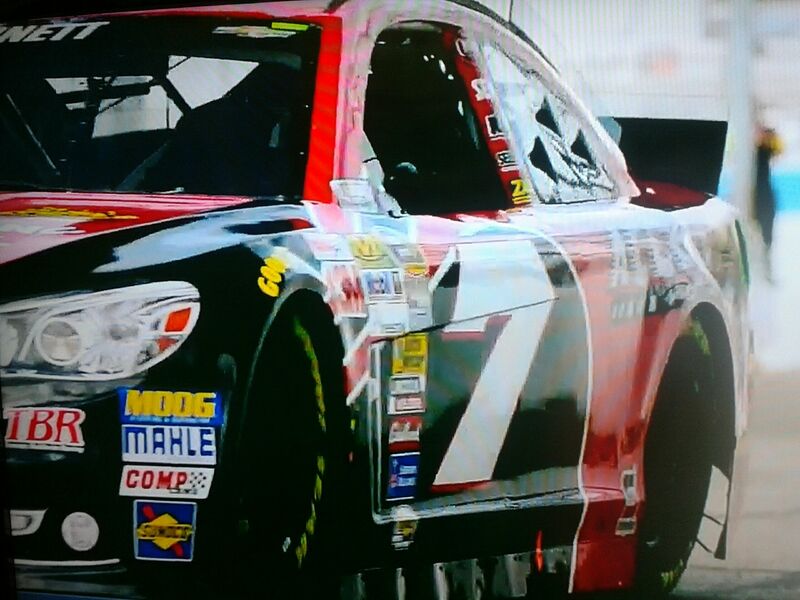 Shortly after the field made their pit stops, a yellow flag waved for debris on lap 208. The TBR team chose to stay out and restarted 32nd, three laps down. An incident just in front of the No. 36 caused a caution on lap 216. Spotter Carl Miller helped pilot Blaney through the wreck in on the backstretch. Although he navigated through the incident, the Buckeye Bullet radioed that there was debris all over the track and he may have run some over. He drove down pit road on lap 219 to assess if there was damage and complete a four-tire pit stop. During the stop, the TBR team concluded there was no damage from the debris, and the Accell Construction Chevrolet restarted on lap 221 in the 29th position. 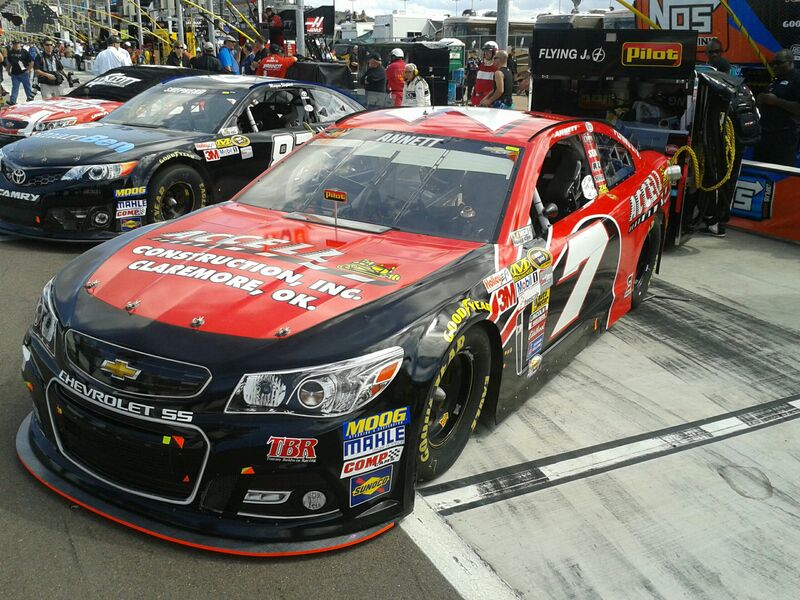 Although the Chevrolet felt better early in the run, the No. 36 became loose, and as Blaney drove around the 1.5-mile racetrack, the backend was slipping. He muscled the Accell Construction Chevrolet for the rest of the run and came down pit road for another green-flag pit stop on lap 268. The TBR team changed four tires and made a trackbar adjustment. Twelve laps later, Blaney radioed that the No. 36 Accell Construction Chevrolet was the same as the last run. He explained that the car was good at the beginning of the run and then quickly turned very loose. While looking for a line on the track where he ran better, the No. 36 went a fourth lap down. Blaney radioed that the Chevrolet was now tight and concluded it was from changing his line to the top groove. 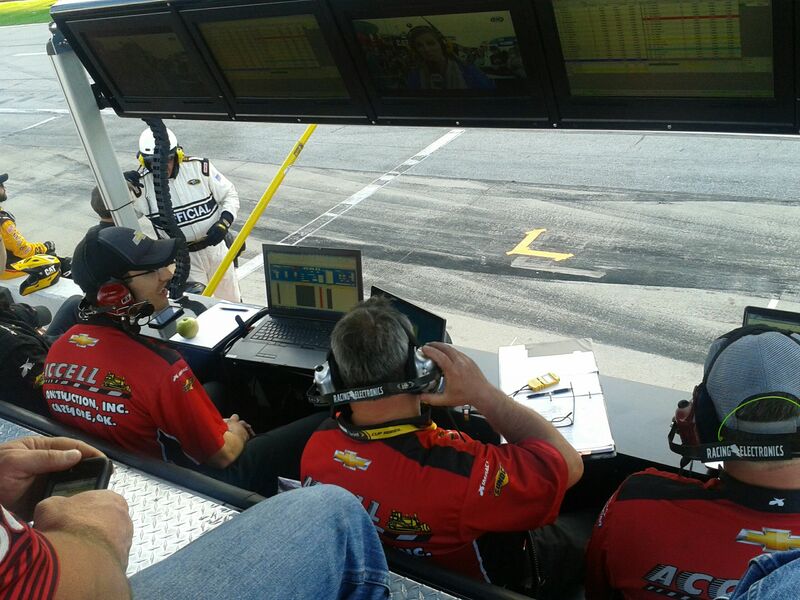 Baldwin called the Accell Construction Chevrolet down pit road on lap 308 for the final stop. Once back on the track, Blaney raced the No. 00 of David Reutimann for the 29th position. Still struggling with a loose Chevrolet, he raced in the 30th spot. Although running laps faster than the leaders in the closing laps, Blaney finished the 500-mile race in the 30th spot, five laps down. The No. 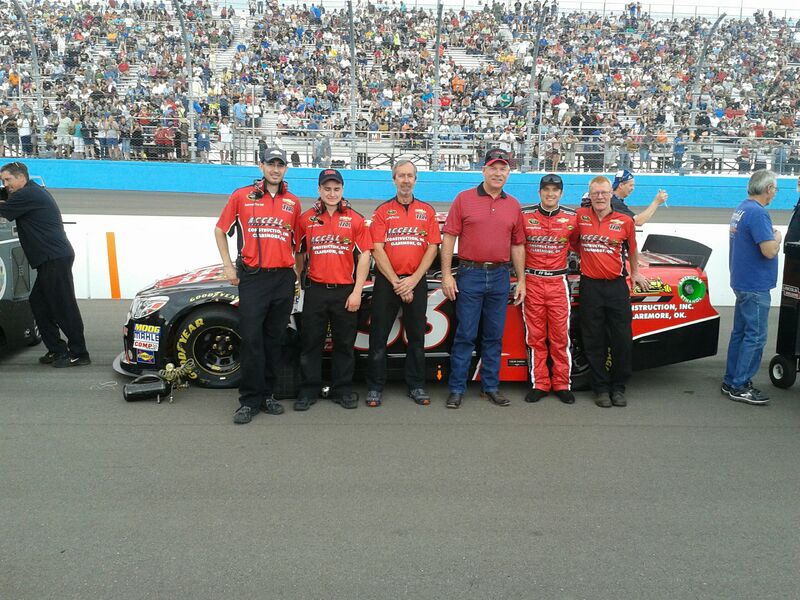 36 Accell Construction Chevrolet is now 38th in NSCS Owner Points and six points out of the top-35. Blaney is 33rd in NSCS Driver Points. The TBR team will return to NSCS racing at Talladega Superspeedway April 17th. Blaney will work to qualify the No. 36 TBR Chevrolet for the Aaron’s 499 on Saturday, April 16th.